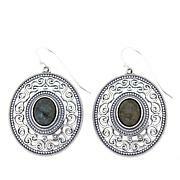 A dainty, floral design and oxidized finish give these oval drop earrings a chic, vintage vibe. The elongated oval drops feature dimensional "rose" accents that will help you create the kind of fun, romantic looks you love! Love my earrings. Just the right size.They came right on time. So so pretty! 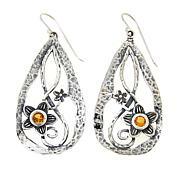 Any woman , no matter the age would love these! 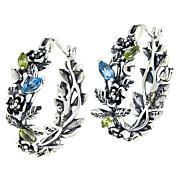 These earrings are just the right size, they have sparkle and movement. They are not heavy but are sturdy. I love them. 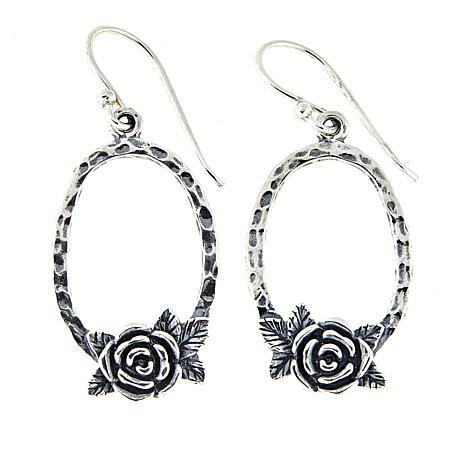 Very pretty earrings, I really loved the roses and the hammered texture on the hoops. 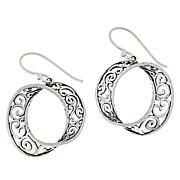 I have other rose silver jewelry and these go very well with them. Great size for everyday wear.